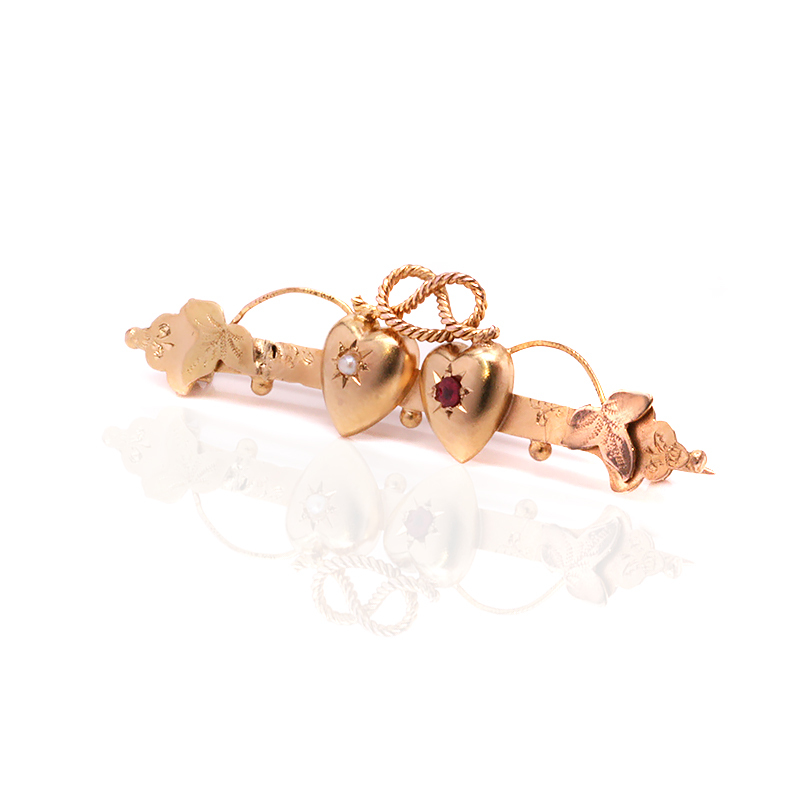 Product code: ES8028 Categories: Sold Items, Sold Jewellery. Here is such a romantic antique ruby and pearl brooch dating from the early 1900’s that is so sweet with the two hearts that are resting against one another and set with a love know over the top. This charming brooch was made in 9ct gold in the Edwardian period and measures 45.3mm across by 12.5mm wide at the centre. Set with a pearl and a ruby in the centre of the hearts, if only this brooch could talk about who it was first given to all those years ago. In wonderful condition and so full of character, there is little doubt that this brooch will always bring a smile to your face every time that you put it on. Tags: Antique brooch, Antique ruby brooch.